The Severn Unit was called into action to put out warning buoys after a 60ft narrowboat failed to rise on her mooring poles and sank upriver from Tewkesbury after the River Avon came into flood during March. HOU Nic Price said, “First of all we had to locate exactly where the stricken vessel lay and then our team had to use great ingenuity to set a row of marker buoys attached to weights around the sunken boat which had slipped a good 12 feet out into the river. 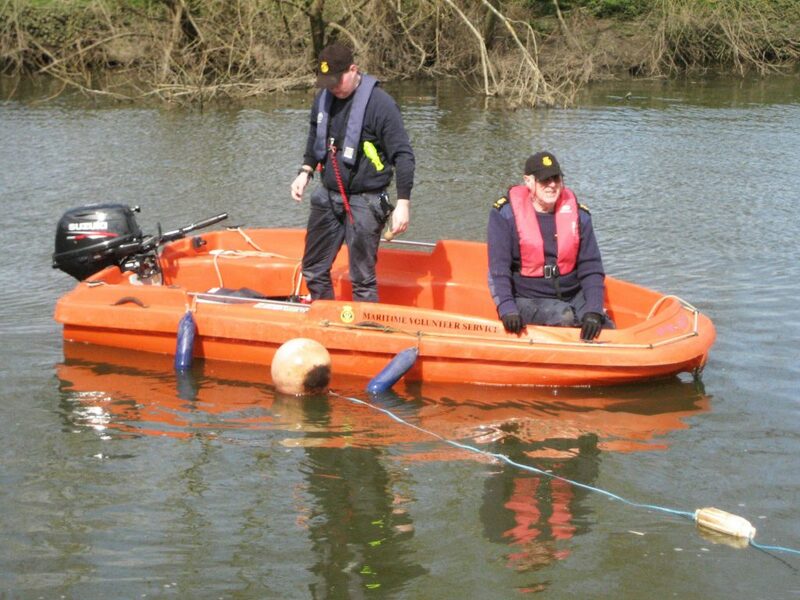 Pictured are Severn Unit MVS Members Will Fish and Chris Adcock in one of the Unit’s boats setting some of the warning buoys around the submerged narrowboat.